BT has released its first formal study into modern families and how they use technology in their homes. The detailed ethnographic study on British families and the homes they inhabit has uncovered the full extent of how families use technology to spend time together, and apart, in the home. While technology use in the home is growing, 43% of the 1,000 households polled for the BT Modern Families Report claimed poor wi-fi connectivity restricts their life at home. This is because the spaces that could be adapted for multiple purposes, or enhanced with connected technology, don't have a good enough connection. The same number of respondents felt they would be happier if their wi-fi worked in every room in the home.12% admitted in the study that they argue with others in the household about the wi-fi. The report also found half (52%) of people admitting they would be put off living in, or buying, a house with wi-fi black spots, with 56% of those polled wanting to get online anywhere in the home. With one in five (16%) UK households now including an adult child aged 18+ (up 4.3% since 2013), which is also the age group with the highest dependency on connectivity, the need for homes to have a strong and reliable wi-fi network has never been greater. Among those questioned, when asked what they would do if their wi-fi was more reliable, one fifth would set up a home office (20%), one in five would create a games room (21%) and 28% would create a study for their kids. 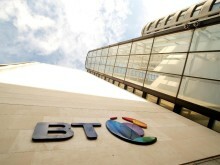 Pete Oliver, Managing Director of Marketing for BT's Consumer business said: “These findings show us how much potential there is for families to get more out of their homes, and the central role that technology and good wi-fi play in our lives. Whether it's families streaming their favourite series together on TV in the living room, or a parent getting some work done while listening to music in the attic - good connections throughout the house are now absolutely critical to family time together, and apart, in the home." The findings mark the launch of Complete Wi-Fi - the world’s first wi-fi coverage guarantee in every room of the home. Not only will customers get wall-to-wall coverage, they’ll also get faster wi-fi speeds, allowing them to stream HD video in more places around the home. A four-bedroom home could see an increase in average wi-fi speeds of up to 25% around the home with just one disc. The BT Modern Families Report also demonstrated the growing role of voice-assisted technology in households with a fifth (22%) of people claiming they would prefer to use their voice for all digital activity. The findings showed a fifth (22%) of homes now own a wi-fi-enabled voice-assisted smart appliance. Owners of these devices are using them in their living rooms (62%), kitchens (45%), dining rooms (45%) and bedrooms (29%). For more information and to sign up to Complete Wi-Fi, please visit www.bt.com/completewifi.